The water levels are going down now after the floods which hit our country last week but the challenges faced by communities are still very large. There are many places where people have suffered landslides in our diocese or have been evacuated due to landslide threats. Even though a number of people have gone back to their houses in areas that were under water, they still have the job of cleaning everything up and cleaning out their wells. People’s possessions were washed away during the floods and many people are facing the enormous problem of starting afresh. Crops have been destroyed and this also means that people who relied on farming for their livelihood are in great difficulty. This also creates problems for communities’ abilities to feed themselves. People have been coming to me and saying “Father, how can I feed my children when my business has totally been washed away?” This is one voice of many of many voiceless. The floods have created health hazards too. As they’ve disrupted the water supply people have suffered from diarrhea. The stagnant water left by the floods means there are a lot of mosquitoes and there’s been dengue fever. Since the threat of landslides has not passed away people who have been evacuated live in uncertainty. They cannot go back to their original homes and are housed in Churches, Temples and schools. People have in some cases been lodging in makeshift camps. There are only a small number of sanitary facilities in these buildings and a large number of people using them and this also leaves people open to health and hygiene risks. Temporary hygiene facilities need to be created. Caritas is working in coordination with the government disaster management centre and other government organizations to ensure that people get the help they need. It’s reported that over 100 people have died and over 650,000 have left their homes. To meet all of these needs we need to work together. There’s been a lot of demand for non-food items such as pans, cutlery, mats, sheets, mosquito nets. But some communities need food more. It depends on the place. Caritas will be giving 6,300 (over 26,400 people) families dry food packs, containing both food items and non food items. Right from the moment of the disaster we have already started giving out dried and cooked food out in some parishes. 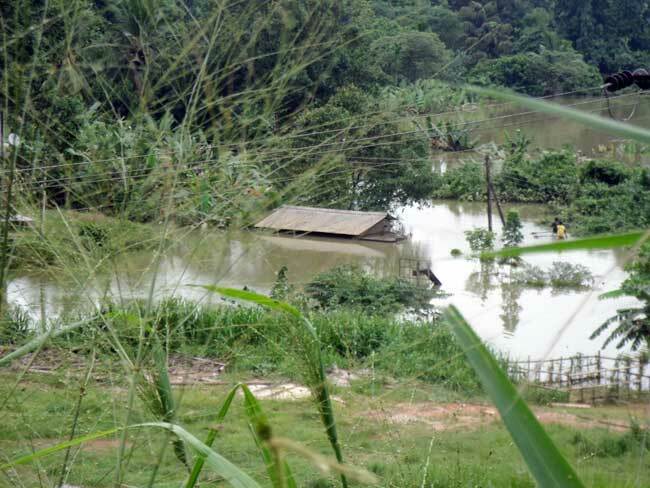 Even though the floods are subsiding, it’s still raining and the climate isn’t very stable. Communities that live near hills and mountains live in fear of further landslides. A lot of people who live below mountains have been evacuated. Our task at present is to cater to the needs of those who have returned to their homes but with the bare minimum to start afresh and to provide relief to those displaced due to the threat of landslides. 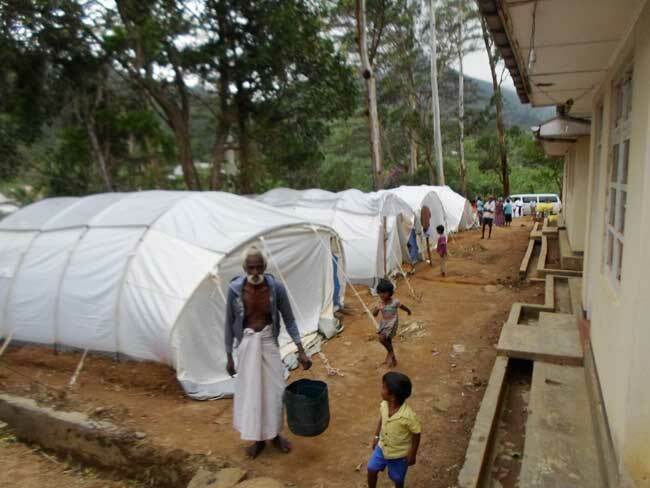 We are indeed grateful to Caritas Sri Lanka SEDEC, our national secretariat and Caritas Internationalis for promptly coming forward to assist the people suffering under these tragic circumstances. Your help is our hope and the hope of our people. United in prayer with grateful heart.